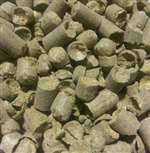 Cascade hop pellets. 4.5-8% AA. Strong spicy, flowery flavor with unmistakable grapefruit citrus aroma. Primary a flavor and aroma hop but can be used dual purpose for American style ales and lagers. Use Centennial, Amarillo or Columbus for close substitutions.